Casey County Hospital, located in Liberty, Ky., is a 24-bed, acute care, critical access hospital (CAH) that is Joint Commission accredited. Our facility offers quality service in a small personalized setting as all patient rooms are private with private bathrooms. Among the services offered are a long term (swing bed) program, intensive outpatient program (IOP), radiology, physical and respiratory therapy, inpatient dialysis, and outpatient laboratory services. 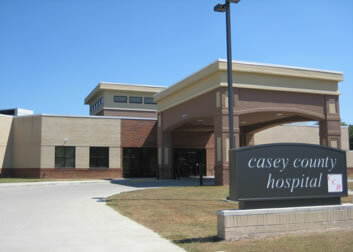 A new Casey County Hospital was built in 2008 and opened in September of that year. It replaced the structure that was built in 1945 and was known as Casey County War Memorial Hospital. Also under the umbrella of the Casey County Hospital District are two rural health clinics, the IOP, and a retail pharmacy. Casey County Primary Care, located at 187 Wolford Avenue directly behind Casey County Hospital, features the services of one physician, Dr. Housam Haddad, and two Advanced Practice Nurse Practitioners (ARNPs), Karen Likins and Bentley O’Dell. The facility is open Monday and Tuesday from 9 a.m. to 6 p.m., and on Wednesday, Thursday and Friday from 9 a.m. to 5 p.m. Appointments may be scheduled by calling 606-787-8348. Casey County Family Practice is located at 112 Liberty Square Shopping Center between Family Dollar and Subway. The clinic has two physicians and a physician’s assistant on staff, Dr. Imad Haddad, Dr. Jared Wilson and Hilary Shuffett, PA-C. CCFP is open on Monday and Tuesday from 9 a.m. to 6 p.m., and on Wednesday, Thursday and Friday from 9 a.m. to 5 p.m. Appointments may be scheduled by calling 606-787-5044. Casey County Hospital Intensive Outpatient Program (IOP) is located adjacent to Casey County Hospital. It provides behavioral health services to individuals age 65 and above. IOP assists clients with symptoms of emotional or mental health conditions severe enough to significantly affect their daily functioning. As a component of the patient’s continuum of care, IOP can serve individuals who may be too seriously ill for traditional outpatient treatment and whose symptoms are not severe enough to warrant inpatient treatment. In addition to assisting our clients, IOP staff work closely with the client’s other health care providers and family. Staff available to service clients of Casey County IOP include a Gero-Psychiatrist, Dr. Max Kinnaman; a Physician’s Assistant, Janet Kinnaman; a Psychologist, Dr. John Fulton; Licensed Counselor, Registered Nurse, Patient Aid, and Clerical Workers. The IOP is open Monday through Friday from 8 a.m. to 4:30 p.m. For more information, call 606-787-1460. Casey County Pharmacy, located at 430 N. Wallace Wilkinson Blvd. in Liberty, opened in April 2015. There are two pharmacists, Tonya Moses and David Eubank, and three pharmacy technicians on staff to assist residents with their prescription needs. 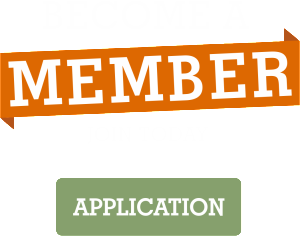 The pharmacy accepts most major third-party insurance plans as well as Medicare and Medicaid. Flu shots and other immunizations are also offered. Casey County Pharmacy is open Monday through Friday from 9 a.m. to 6 p.m., and on Saturday from 9 a.m. to 1 p.m. For more information, call 606-787-0119.